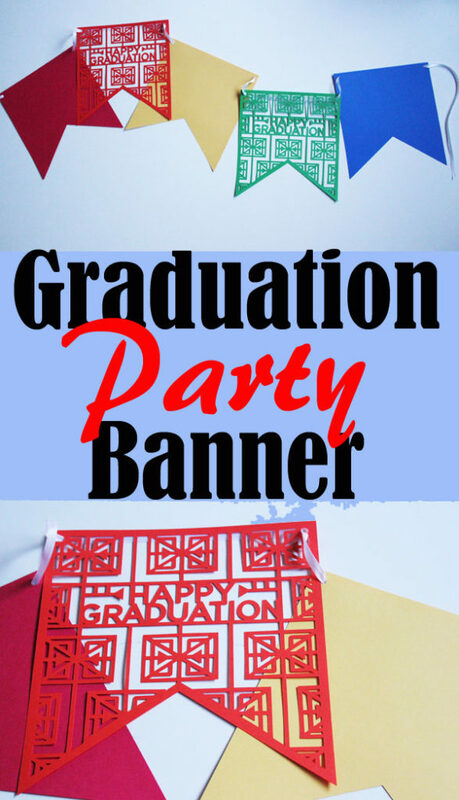 If you’re looking for a way to customize your Graduation Party decor, this graduation party banner is super simple! 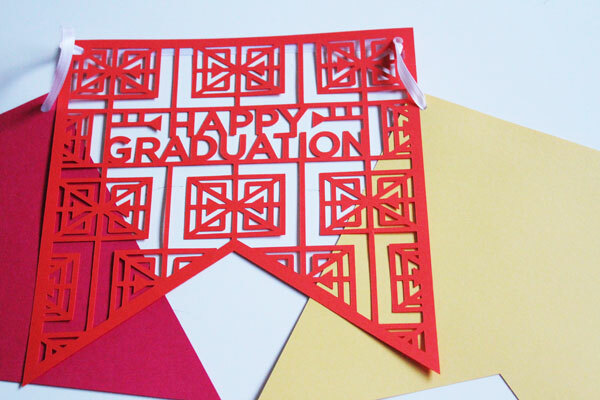 Use whatever colors of cardstock that will compliment your theme (and school colors are a great springboard for a graduation party theme), and let your Cricut do the cutting! The banners come together super quickly after all the cutting is complete! This project is part of a week-long series of end-of-school-year crafts that I’m doing with my friends! 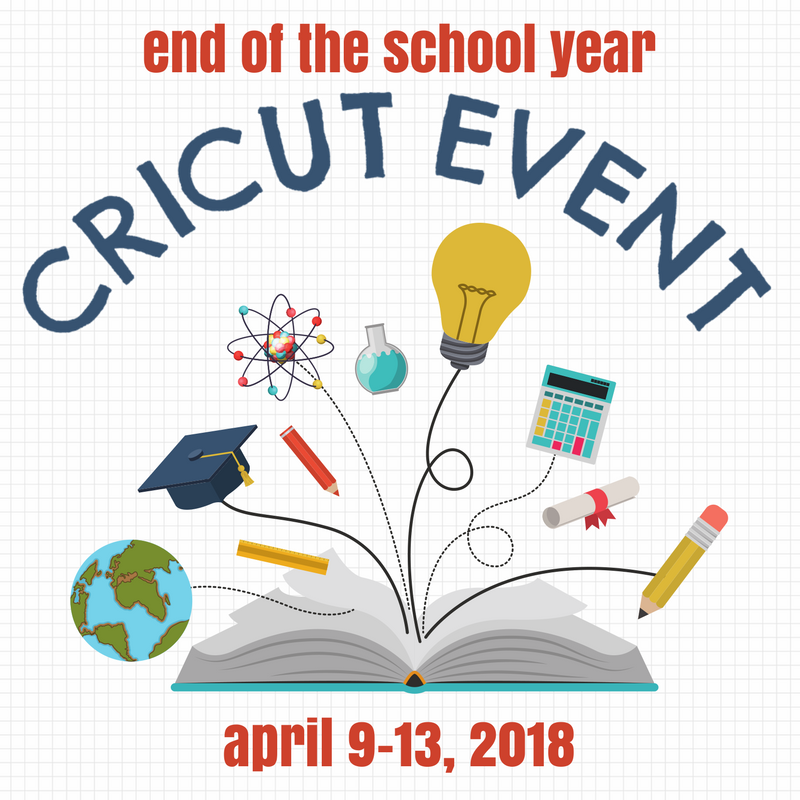 Be sure to scroll all the way down to the bottom of this page to check out all of the awesome end-of-school projects we’ve made using the Cricut machine! 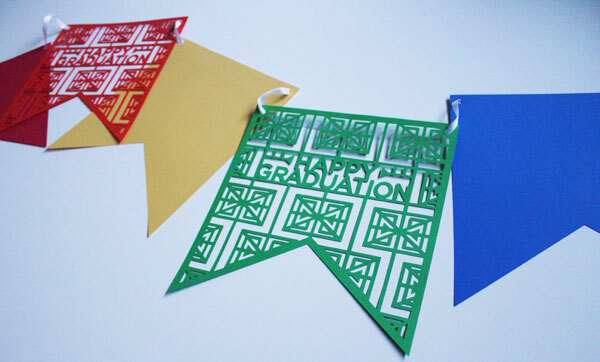 Use the Graduation banner cut file for Cricut Design Space. 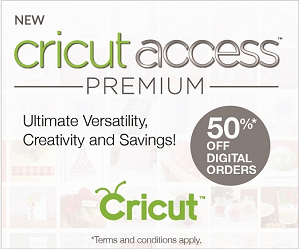 Cut as many as you need to fill your party space. 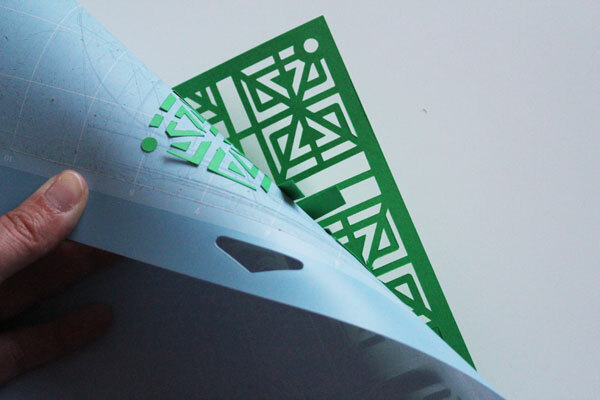 When peeling the more intricate designs from the mat, lay the mat face-down on a table, then roll the mat away from the table, back onto itself. This peels the mat from the paper rather than the paper from the mat so you don’t have curling paper. Once all your pieces are cut and removed from the mats, string ribbon through the holes at the top. Your banner is ready to hang! 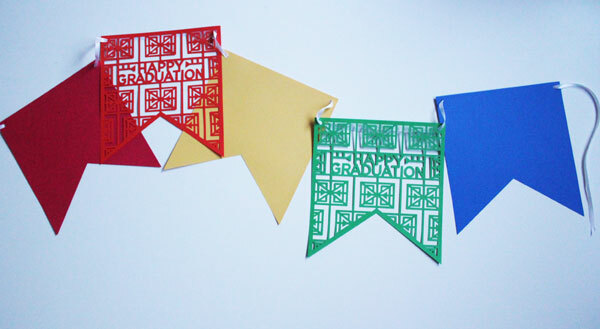 Be sure to check out these other end-of-school-year craft ideas using your Cricut machine!